Whatever the need, Segmental Saw custom sharpens and repairs any type of blade, helping customers reduce their cutting costs and compete more profitably in their markets. Our specialty is saw blades. Please note that we do not service or modify machines. Since no two businesses are the same, cutting requirements are defined by the nature of customers served and their specific needs. 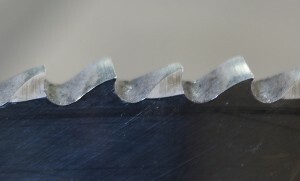 Whether it’s defining and preparing the right saw blade or designing the proper tooth geometry for a particular cutting application, Segmental Saw is dedicated to providing custom solutions for all of your specific needs. We often work directly with our customers’ production engineers and/or machine operators to design custom solutions for specific objectives. 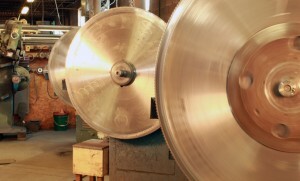 Over time saw blades naturally wear down and lose their cutting efficiency. To restore blades to optimal working levels, often all that is required is some servicing and/or sharpening. 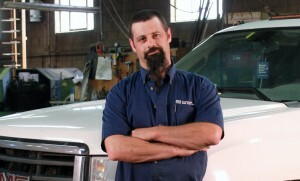 As part of Segmental Saw’s service commitment, we will sharpen and/or repair any saw blade bought from us. We are happy to service blades purchased through third-parties, if through consultation we determine that the blades meet your needs. If servicing is required we will promptly provide a quotation and include our recommendations for alternate solutions if necessary. Throughout its history, Segmental Saw has been dedicated to making sure its customers are using the right cutting tools for specific applications. In many cases, based on our diagnosis, we have recommended superior solutions that resulted in increased productivity and profitability for our customers. Not sure how you can improve your cutting productivity? Want to consider other applications or markets? address virtually any cutting requirements. © Copyright 2014 • Segmental Saw Sales Inc.